Grip it, wrap it, stand it. The Joby GorillaPod 3K Kit features premium grade ABS GorillaPod plus precision engineered ballhead with quick release clip and bubble level. 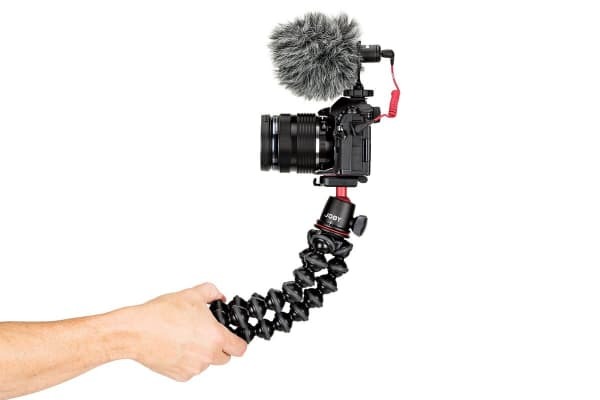 The Joby GorillaPod 3K Kit can be configured for still photography, videography, vlogging or live streaming in 3 modes: grip, wrap or stand. 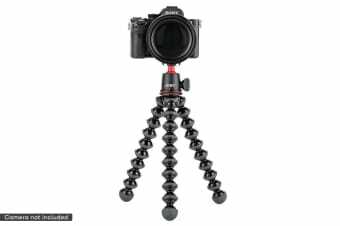 Supports DSLR/mirrorless cameras and devices and also fits the Bubble Level Clip (for Ballhead SLR-Zoom). The optional BallHead 3K comes with a bubble level quick release plate for instant set-up. A single knob locks/unlocks the ballhead and panning motion. The 3K Kit includes a BallHead 3K with precise 360deg panning bed and cutout for full 90deg tilt. Use the built-in bubble level for perfect shots in portrait or landscape mode. Holds DSLR, mirrorless cameras and lights or devices weighing up to 3kg. 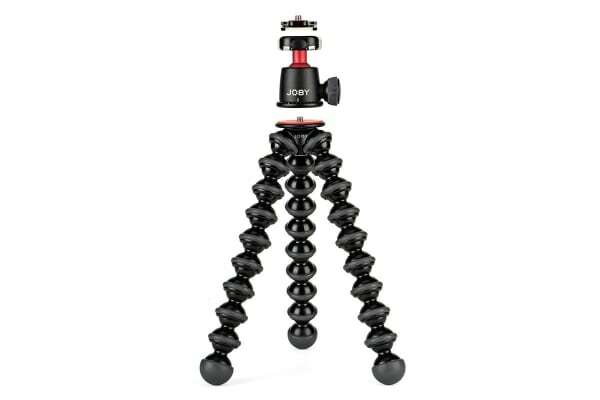 This tripod is light enough to carry everywhere and strong enough to get the job done. Medical-grade ABS plastic compose the over two dozen leg joints, while rubberised TPE rings and foot grips provide positive traction on surfaces and surroundings.